In a decision of 8 September 2010 (full grounds not yet published, press release here), the Swiss Supreme Court ruled that Logistep AG may not search peer-to-peer networks for copyright infringing files, register the IP [internet protocol] addresses of the uploaders and forward them to the copyright owners, which then, based on the data, file criminal complaints against unknown (the prosecution, unlike private parties, can force the ISPs to hand over name and address of the person/entity behind the IP address). the interest in the enforcement of IP rights does not justify the violation of data protection law: the interest of internet users in the protection of their personality rights (read: right to remain pseudo-anonymous) prevails over the interest of right owners to enforce their rights against them. The German Supreme Court (BGH) had come to another conclusion in a decision of May 2010 (I ZR 121/08) and allowed a right owner to enforce its rights against the provider of an unsecured WIFI-spot based on data collected by Logistep (noted on IPKat here) - the BGH did not, however, explicitly rule on the Logistep business model. According to this interview with a judge at the Landgericht Köln, in 2010 each month roughly 1,000 requests for the identification of persons behind IP addresses are filed with the Landgericht Köln, each one including 1,000 to 3,000 IP addresses. Which means that roughly, in a year at least 12 x 1,000 x 1,000 = 12 million persons in Germany are identified as illegal file sharers (it is possible that the same person is identified several times, because IP addresses assigned to end-users often change [dynamic IP address], but nonetheless, these numbers are staggering). The Swiss decision will make it very difficult for copyright owners to enforce their rights in digital content in Switzerland; while it is formally binding only upon Logistep, it is hard to see how a court would decide differently if the right owners themselves collected the data. The IPKat likes to announce that it remains the intellectual property Kat, not to be confused with the internet protocol Kat. 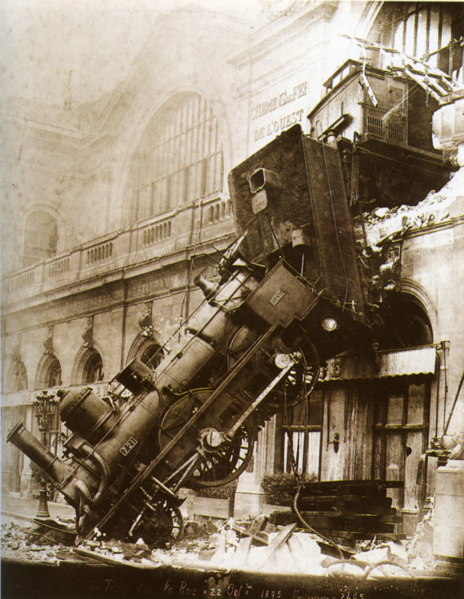 For those interested, the photo is that of the Montparnasse accident of 1895. G 1/09: When is a patent application pending? British inventiveness: fact or myth? Telecinco v YouTube: a Spanish landmark? Sigur Rós sound-a-likes: homage or fromage? CIPA Gala Dinner menu: Grubb's up! Time to welcome the nimbus? Time for that IP Tsar?